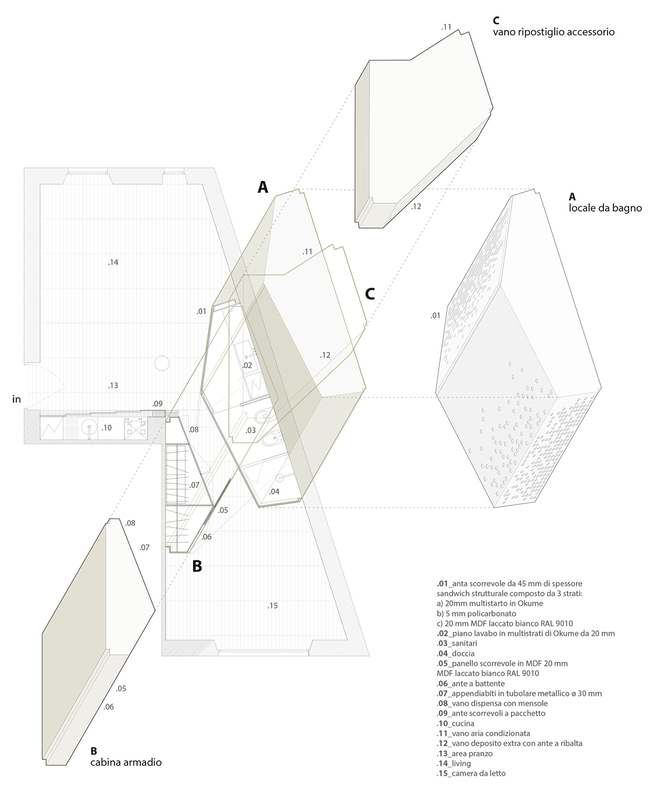 A house built as a diagram of natural and artificial light. 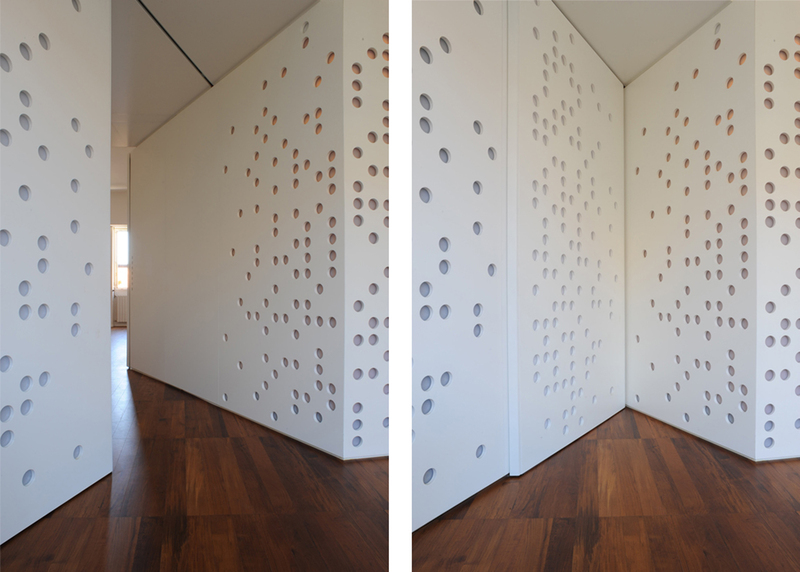 Three solid inhabitable modules are shaped to allow natural light casting no shadows over the other surfaces. 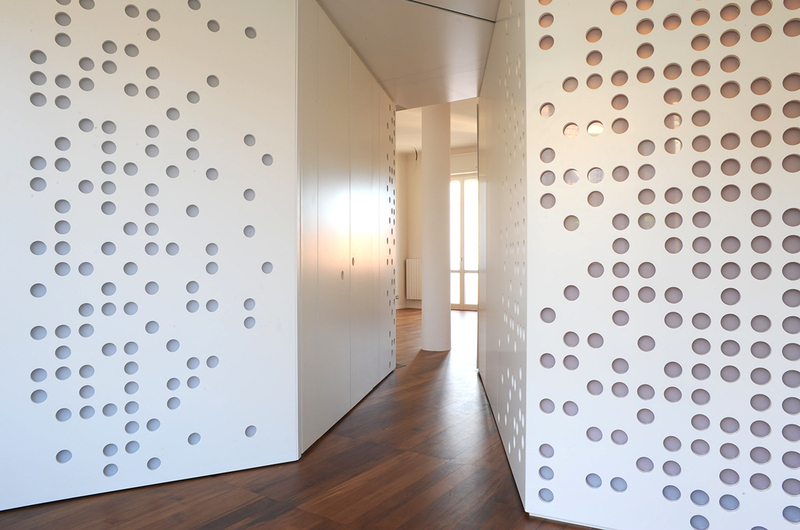 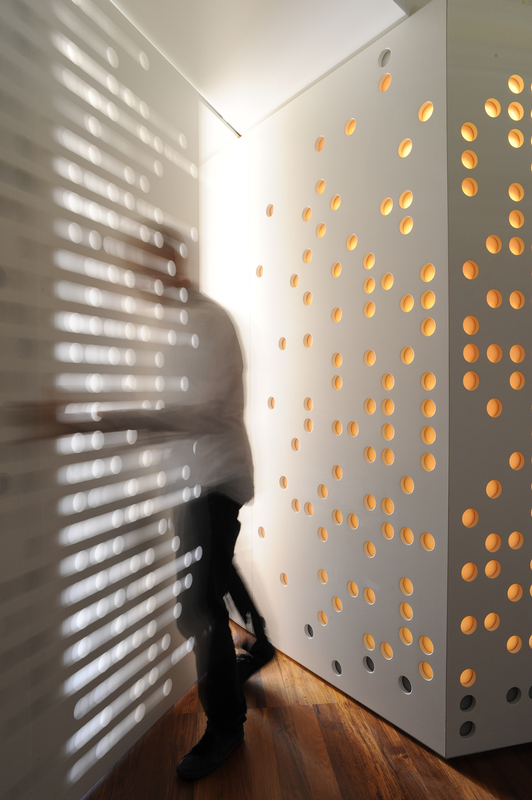 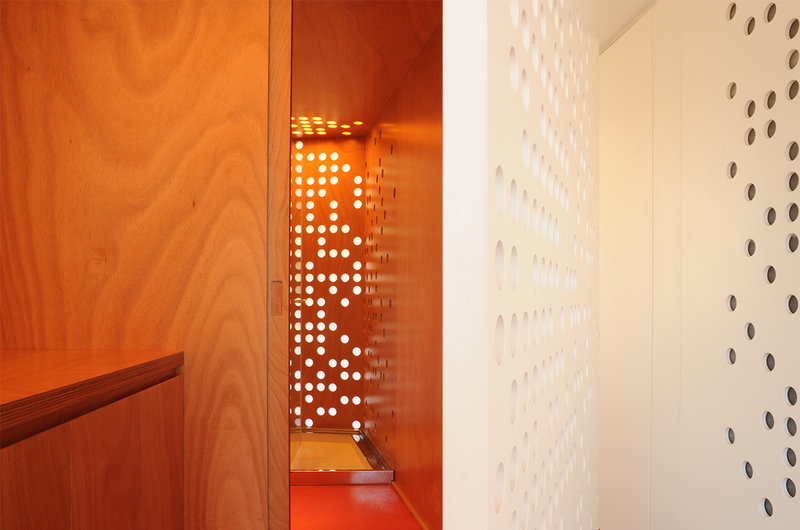 Moreover a perforated gradient of dots, lets the natural light get in, and the artificial light come out to illuminate the soace around. 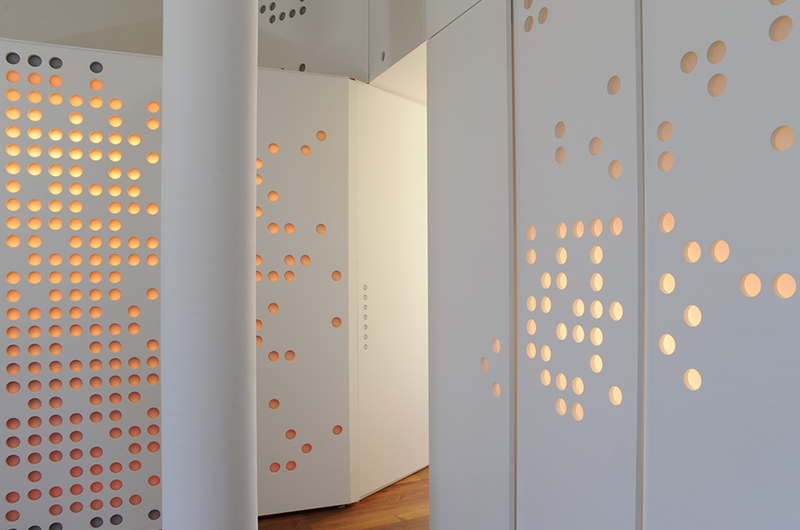 The space results free around an hyper-device wich lays on an intermediate scale between furniture and architecture.